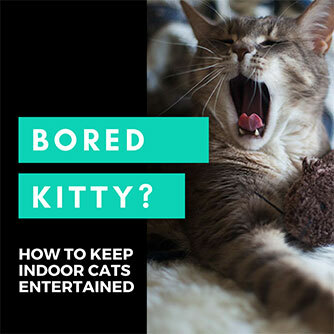 Cheap Cat Toys: Kitty Entertainment Under $10 I'm Dying to Try Out! You see, even back then, Avery wasn’t the easiest cat to entertain. Now? Things are twice as hard, if not triple. Avery’s the kind of cat who will sit around watching you try desperately to get him to engage in playtime instead of diving in and actually bothering to play with with you. Oh and he will nearly never play by himself. It’s frustrating! 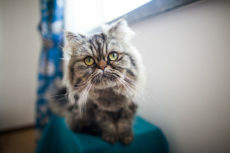 But it means that when he likes a toy, I can be almost certain that most other cats will like it too. He’s a picky one after all. Now, there are a few toys that have managed to keep his interest over the years, but honestly not many, and even then, he doesn’t go all out playing with them. Just once in a while you know? Or in short bursts of around 20 seconds every other day. To show he’s still a little interested. The toys that fit into this category? The Petlinks Jeepers Creepers Toy Rat (oddly enough, his first toy), and well, pancake versions of DIY aluminum foil balls. Yup. It’s a short list. What almost made it to this list because of how long the toys kept his interest (months/years): Spot Ethical Pet Cat Springs & the Interpet Cat Love Tikkler Toy Wands. It’s a damned shame nothing else made it onto this list yet, but here’s to never giving up trying to find something else that will! But enough of the toys I’ve already got! I need ideas for what I still need to try, as I’m always determined to find something that Avery will actually enjoy. There’s gotta be something out there that’s perfect! And if not, well at least the under $10 price point means I won’t have to take a huge hit to my wallet searching. 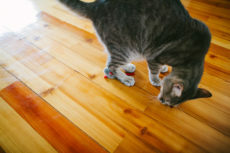 I’ve heard so many good things about this cat toy and yet, somehow, I’ve yet to try one! I don’t know how I keep forgetting to add these to my Amazon cart, especially since they’re so cheap. 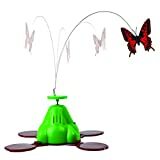 I really need to give this popular toy a shot, since I’ve always felt the more popular the product, the higher the chance Avery will like it as well. 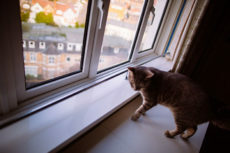 The benefit of this one – if Avery likes it, it’s durable, unlike the feather toy alternatives that have to be replaced when they get worn out – and they do all get won out. 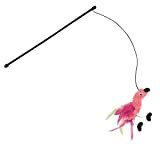 Avery does dig feather toys, though, so I don’t think it wouldn’t be as much a hit as the Cat Love Tikkler Toy Wand was. Since on the odd occasion when Avery plays by himself, it’s with aluminum foil DIY balls that I squish by stepping on them and have lying around for him in the house, I think these things might actually be a success. There’s a good chance that the shininess + the little bit of noise/crinkle they give off will do the trick and he actually might play with them. Worth a shot, I’d say! 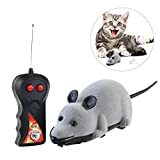 I don’t even know how it is that I’ve never tried a remote control toy mouse for Avery before, but there you have it. Something I’ve always suspected he might like but never tried. Maybe I wasn’t looking hard enough when I’ve been browsing around pet stores for toys. I guess that’s why I’ve never bought one. Should have been looking for them specifically so I could give them a proper shot! Probably the only toys that keep Avery’s attention are food dispenser toys… though these don’t really count in my opinion because we all know what’s holding his attention is not the toy. 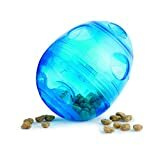 Nonetheless, this looks like an interesting one to try, and I’m all for having yet another food dispenser that my cat actually uses! 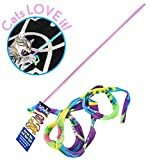 I remember seeing these back when I bought Avery the Spot Ethical Pet Cat Springs. I think I completely forgot about them until this moment because I remember thinking they looked great and if Avery liked the springs than he’d probably be into these too. Less painful on the feet for stepping on than the springs, too. Really need to grab some of these soon! Hope I don’t keep forgetting to add to cart. 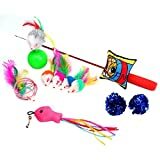 I’m wondering if having some catnip fish like these lying around the floor will encourage Avery to play by himself for at least a few moments the same way the DIY aluminum foil balls do. 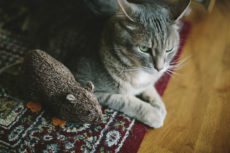 I know it’s not the same thing, but I’m always looking for new toys to leave out for him that won’t kill my foot if I step on them – or be killed by me stepping on them for that matter! 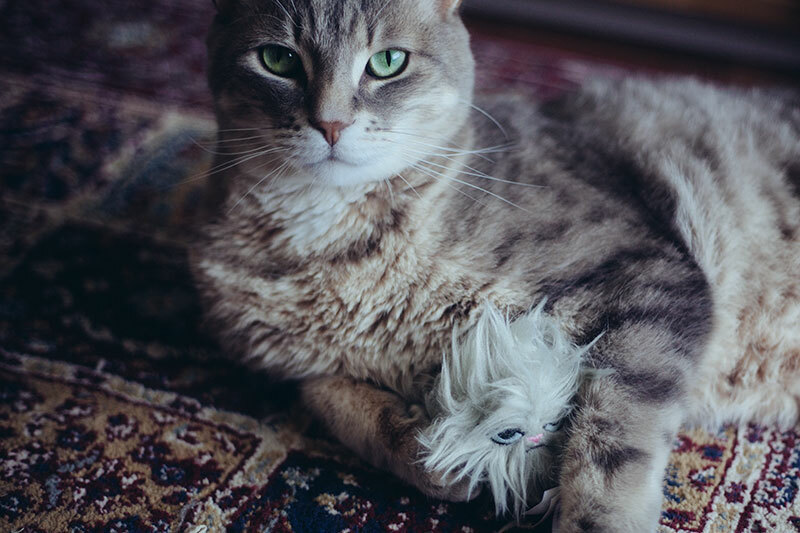 I recently bought Avery a Grumpy Cat Hairball Toy, and while he actually seems to dig it more than most other toys, I’m too afraid to leave it out all the time since I’m worried I’ll accidentally step on it and destroy it. 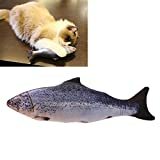 These catnip fish would be perfect to leave out if he liked them. Avery used to play with my hair elastics for the first few years we had him. Hasn’t really done it at all this past year, but these look like hair elastics on steroids to me. 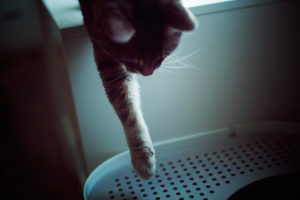 Much more interesting for a cat and yet another thing that looks like I can leave it on the floor with no issues. Of course Avery doesn’t try to swallow anything at all (not even my hair elastics – not ever), so I’d trust him with these out 24/7, but I’d definitely be careful and always monitor/never leave these out if I had a cat that would chew/tear elastics or try to swallow them. 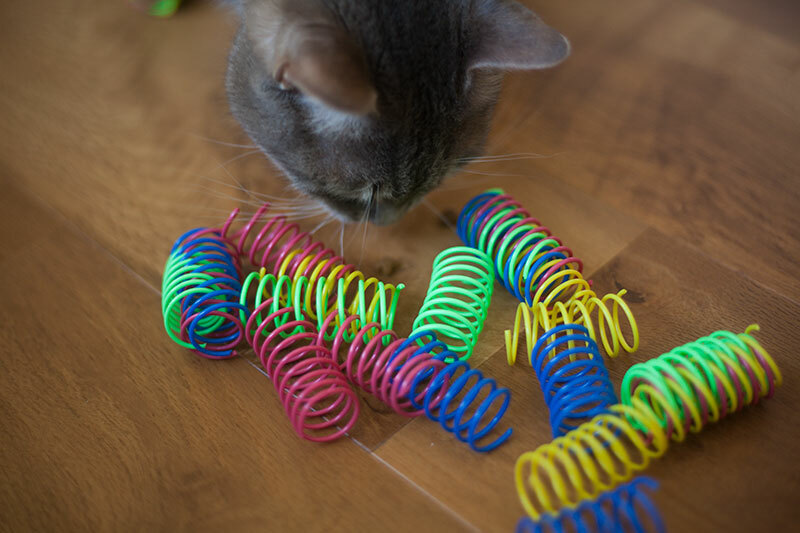 These are a no-brainer since Avery’s shown interest in cat springs in the past. I’m guessing part of the reason he got bored with the Ethical Pet ones I was talking about is because he just gets bored with things after a while. Maybe if I’d changed up the types of springs I was leaving out for him to play with, things would have been different. Who knows! But these are most certainly worth a shot. 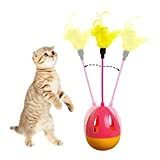 Seems more like a cat toy fit for a kitten, but if Avery liked something like this I’d be so happy, as it moves with no human interaction necessary and unlike balls and other loose cat toys, it won’t get lost easily! 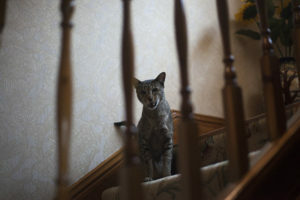 I’d think my mother’s cat Walker would like this one, but I doubt it’s for many adult cats. I’d love to stand corrected, though, as, like I said, I’d love it if my cat was into something like this. Worth a shot, especially since I can donate it to another cat who’d show more interest in it if Avery didn’t want it. I like combos because they allow me to try out many different kinds of toys without having a tonne of something Avery won’t even end up liking. 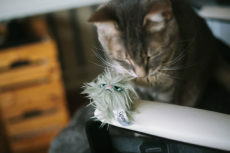 I’m no stranger to buying more of the same cat toy if Avery likes it. In fact, I did just that with the Interpet Kat Tikkler back when he was still obsessed with it (boy do I miss those days!). But at least this is a “starter pack” that lets me rule out a number of different options, including those crinkle balls I said I wanted to try out! Just in case he shows no interest at all in them (very likely). These look so good to me, not because they’re catnip toys (which would be great if Avery was one of those cats who reacts to catnip! ), but because they’re all different shapes and sizes, so if Avery liked one, I could switch them in and out and keep things varied a little for him that way because they’re all just a wee bit different. 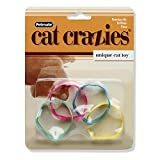 Shared these in my catnip toys I’d love even more than Avery would article, and the more often I see them around, the more I really want to try grabbing one to try it. Again, more of a kitten toy I’d think, but of the kind I really wish Avery would like. Little to no work out of you, you can leave it out and it won’t get lost. Sigh. Again, something his cousin Walker (my mum’s cat) would probably adore having, but if I left it out for Avery, he’d probably never take a second glance. Such a shame! 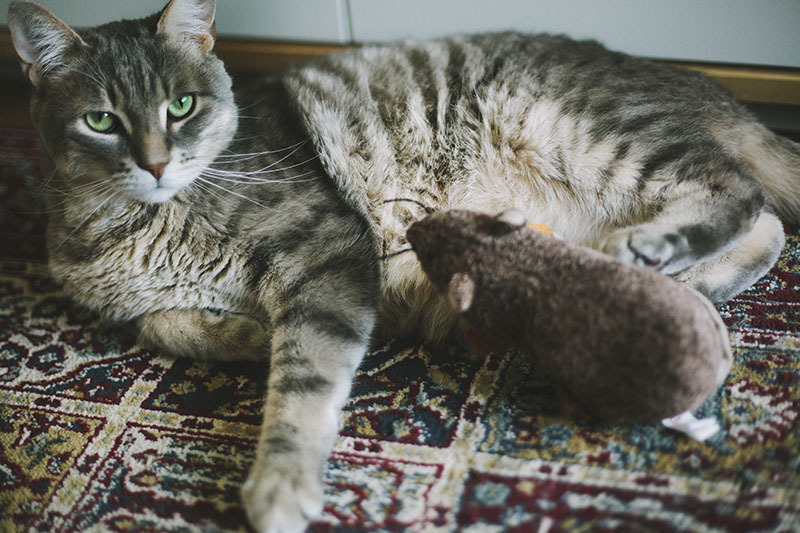 Which Cheap Cat Toys Do You Think Your Cat Would Like? 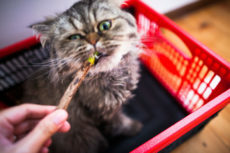 I know each and every single cat’s taste when it comes to toys is different, but I’d love to know which cheap cat toys have struck a chord with your own cats – or which you think would strike a chord if you grabbed them for your kitties.